Our BBQ went very good! Actually, the weather has been cool lately and pool was empty yesterday. I have to clean the home now. Okinawan Festival will be held in Hawaii Today. Here is their Eisa dance at the festival. I wish I could be in Hawaii today. 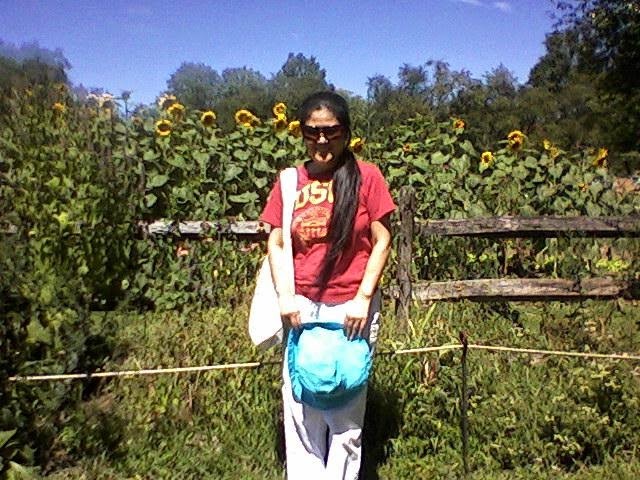 We visited the Queens County Farm Museum (three minutes away from my home, Queens, by car) after the lunch today. Larry and I finally are spending 4-day weekend at home! The farm has vegetables & flutes, cow, pig, chicken and goat. Queens County Farm Museum's history dates back to 1697; it occupies New York City's largest remaining tract of undisturbed farmland. The farm encompasses a 47-acre parcel that is the longest continuously farmed site in New York State. "Sora Mo Nagazuki, Hajime Korokaya, Yomono Momijio"
The O&A Magazine reviewed our performances. Harlem Dance Caravan: Erasing The Boundaries performances were held on August 15th and 16th at the Richard Rodgers Amphitheater in Marcus Garvey Park. This is the second year SummerStage and the Faison Firehouse has collaborated on the outdoor, free to the public performing arts presentation; and it has already become one the most anticipated and well attended events offered in the summer series. 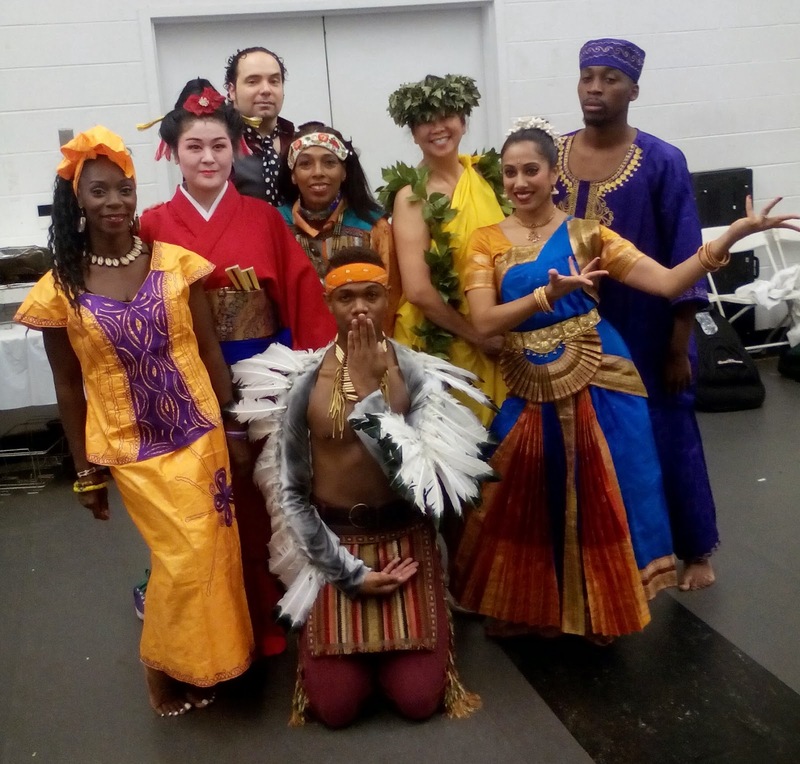 This year the eclectic roster of performers included Baoku & The Image Afro-Beat Band, Cecilia Marta Dance Company, George Faison Universal Dance Experience, Jamel Gaines’ Creative Outlet, and Lotus Music & Dance Multicultural Artists. 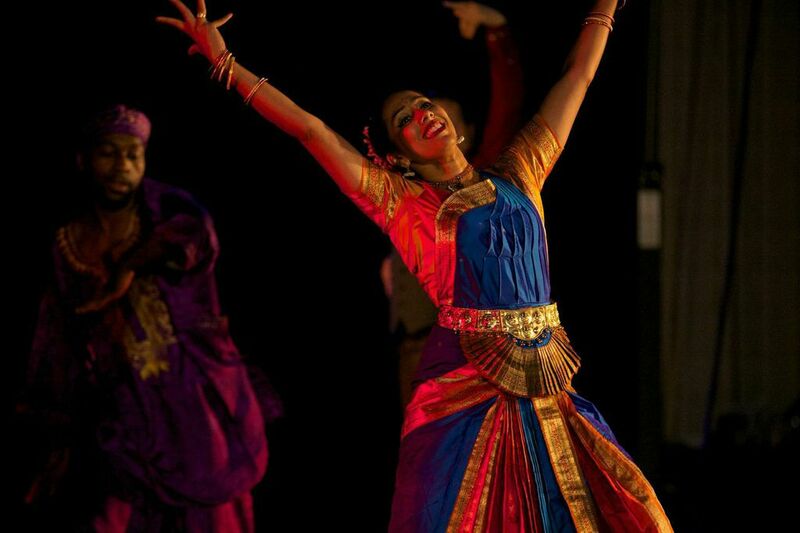 The well curated production lived up to its title offering a diverse and well-paced program with an international flavor. 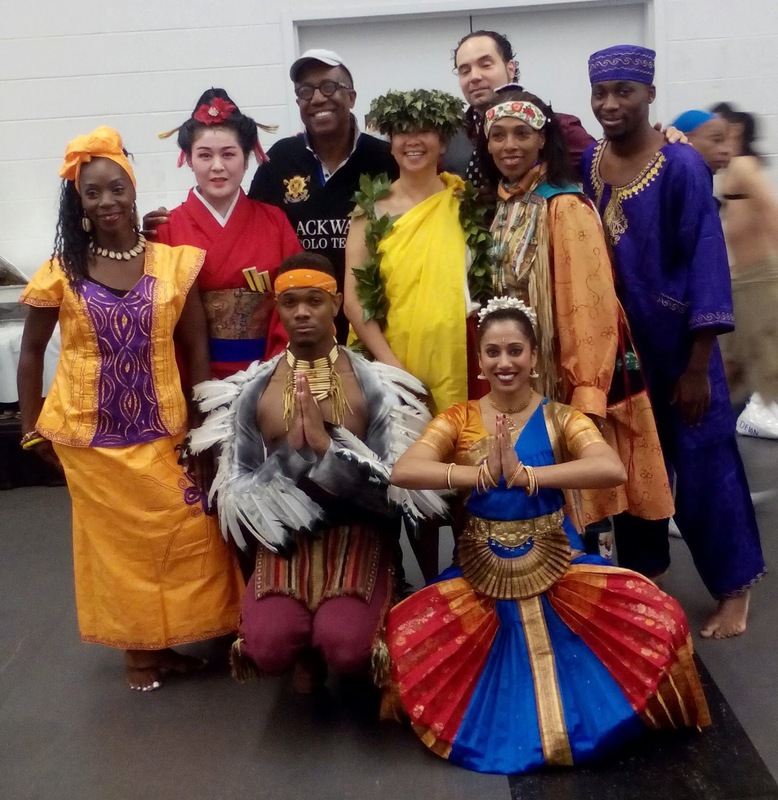 Choreographer and co-producer George Faison opened the program with Erasing The Boundaries featuring performers from the George Faison Universal Dance Experience and Lotus Music & Dance Multicultural Artists. The work opened with the eight performers from the Lotus Music & Dance Multicultural Artists each introducing the audience to a different indigenous style of dance. At one point the dancers moved in a large circle taking turns performing downstage center. This created a visual symbolism of a revolving universal world culture. With an explosion of lights, sound and energy the Faison Dance Experience took command the stage. The music shifted from the transcendental The Energy Within by Guru Shri Durga Charan Ranbir to the urban driving pulse of Janet Jackson’s 1989 hit Rhythm Nation. 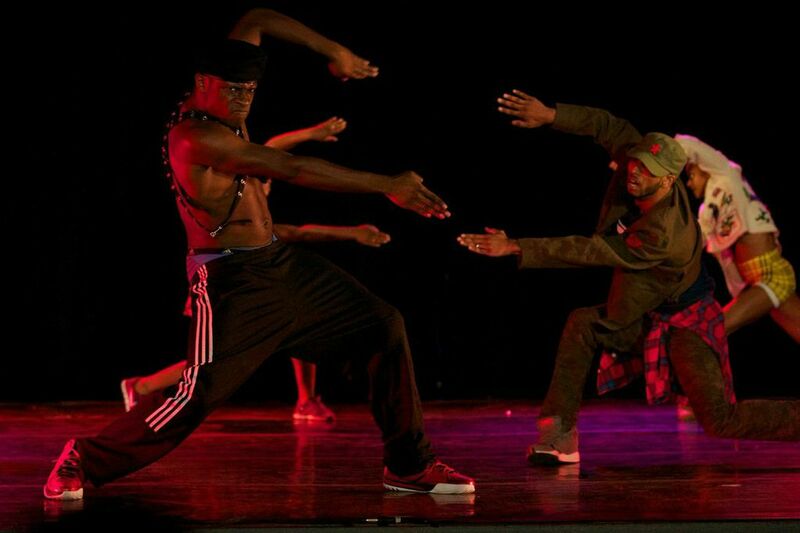 Here Faison displayed his signature blend of modern, jazz, ballet and vernacular/street dance. Worthy of a primetime slot on MTV the work moved with a dazing burst of excitement somewhere between “break neck” and cyclonic. The last section combined both companies and all styles of movement. At the apex the indigenous dancers returned to their circular world movement patterns gliding through the linear ensemble of more presentational/westernized dancers. The visual effect reminisced the morph sequence in Michael Jackson’s Black and White video. The consummate craftsman, and storyteller (even in abstraction), Faison ingeniously created a message of universality through movement. In Rituals choreographer Cecilia Marta transported us to a lush rainforest inhabited by regal and exotic loincloth clad, feather adorned beings. They strutted, danced and poised with dowel sticks that functioned as canes, batons and weaponry. Marta did not mimic any particular culture; instead we were in a distinct land, which she created. This was clearly reflected in her uniquely stylized vocabulary and compositional structure. The stellar eleven-member cast performed primarily as a well-rehearsed and precise ensemble, but there were a few standouts. Special guest artist Abdiel Jacobsen (Martha Graham Dance Company) had a commanding presence that at times seemed to exceed the parameters of the stage, Cara May Marcus’ flexibility and controll both awed and delighted the audience, and Nijawwon Matthews performed with the authority of a tribal ringmaster. Jamel Gaines’ Journey To Freedom closed the first half of the program. The ensemble work opened with a compilation from speeches by Maya Angelou. The dancers, dressed in white, moved with a sustained ethereal quality, and were an endearing movement homage to Angelou’s message. Other opening movement highlights included a brief, but inspired men’s dance set to another speech by Nelson Mandela, and a concise cameo performed by Shirley Black Brown. Veteran Brown’s clarity and focus was an example how a professional can always make less more. The second half of the work was an up-tempo crowd pleaser set to a remix by Kevin Hunte. This performance was in many ways a homecoming for Creative Outlet. The cast consisted of many former students/company members trained by Gaines including Jeroboam Bozeman and Vicki Lambert (Alvin Ailey American Dance Theater), Taller Cyrus (After Midnight), Kevin Hunte and Danny Soto (Fela! The Musical), and Raven McRae (Motown The Musical). It was a wonderful display of respect and love for their teacher and mentor. Baoku & The Image Afro-Beat Band performed for the second half of the program. Nigerian native, founder and composer Baoku Moses performed his original composition Afrobeat No Go Die. The work was set in the Afro-beat style, which gained international acclaimed in the 1970’s and 80’s by fellow Nigerian musician Fela Kuti. 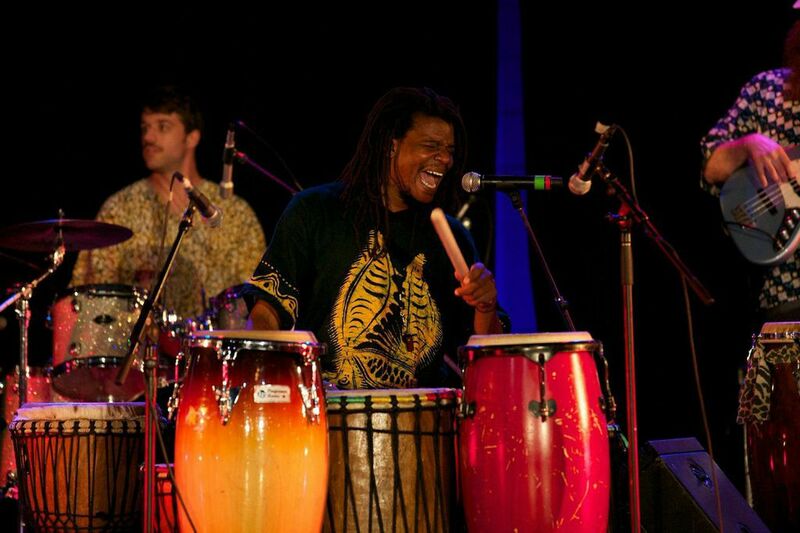 The politically charged lyrics, many spoken in Yoruba, along with a strong horn section and bass line are Afro-beat trademarks. The music also expresses the amalgam of African-American R&B and funk with West African rhythms. 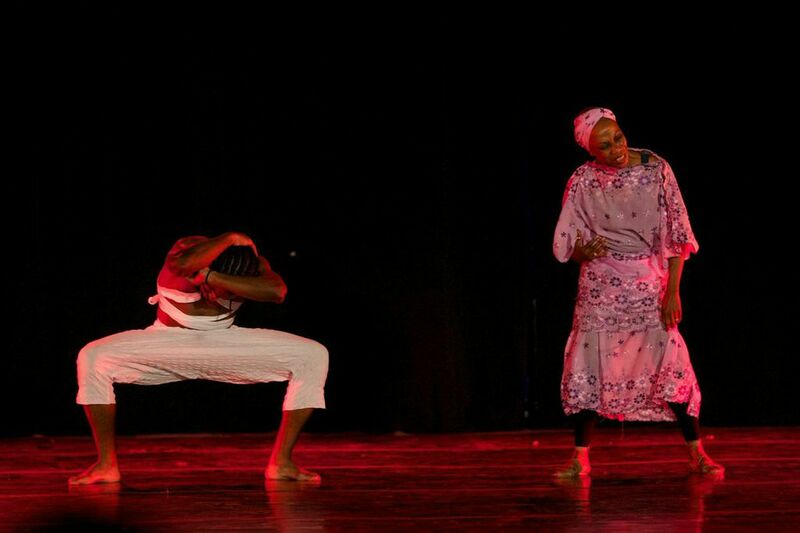 Harlem Dance Caravan: Erasing The Boundaries was a rich evening of internationally inspired performing arts. In many ways this series had the enthusiasm and electricity of the Delacorte Theater dance performances of yesteryear. The amphitheater is an excellent venue for the performances; and we hope that City Parks Foundation continues and possibly expands this partnership next year. It is clear that there is both an artistic need and a public interest. We visited the Planting Fields Arboretum Stage Historic Park this afternoon. The 40-acre Park has Orchid House, Palm House, Garriage House, Tea House and Italian Garden, Houseplant House, Botanical plants house, Manor House, Carriage House Camellia House, Coe Hall, and nature trails. Planting Fields is Glorious Gold Coast Era estate on the North Sore of Long Island (Oyster Bay), first built by the prominent New Yorker Japmes Byrne in 1904. Today, the field is open to the public. Larry is taking a vacation day today and we went to Torigo for lunch. and I am back to the usual training. My cooking for dinner is done! during our last rehearsal with no make up. My stage make up was done at home on Saturday.